Nneoma Ibezim serves as a Research Analyst in the Higher Education Practice at McAllister & Quinn. In this capacity, Nneoma identifies appropriate federal and foundation funding opportunities based on client’s strengths and institutional needs. She provides research and analytical support to the firm’s higher education team by obtaining information on various federal agency programs. Nneoma also supports business development efforts for the Higher Education Practice. Prior to joining McAllister & Quinn, Nneoma interned for Union–Snyder Community Action Agency (CAA). Her main role was to act as a liaison between the CAA and Bucknell University. Nneoma also served as an intern for the Office of Congressman Tony Cárdenas where she was responsible for connecting constituents to appropriate federal resources and Congressional Aides within their district. In addition, Nneoma interned for the Los Angeles Alliance for a New Economy (LAANE), where she worked with LAANE’s communication department to contact television and news media for press events about their union based programs in Los Angeles. Nneoma received her B.A. in Education and Sociology with a minor in Political Science from Bucknell University. She was a Posse Foundation Scholar. 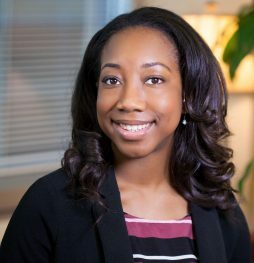 Nneoma worked as an undergraduate executive intern for Bucknell University’s Office of Development where she was responsible for surveying and improving young alumni philanthropic engagement.